CHORUS SIGN UP CLICK HERE! Don't want to sing, come watch! TICKETS HERE! 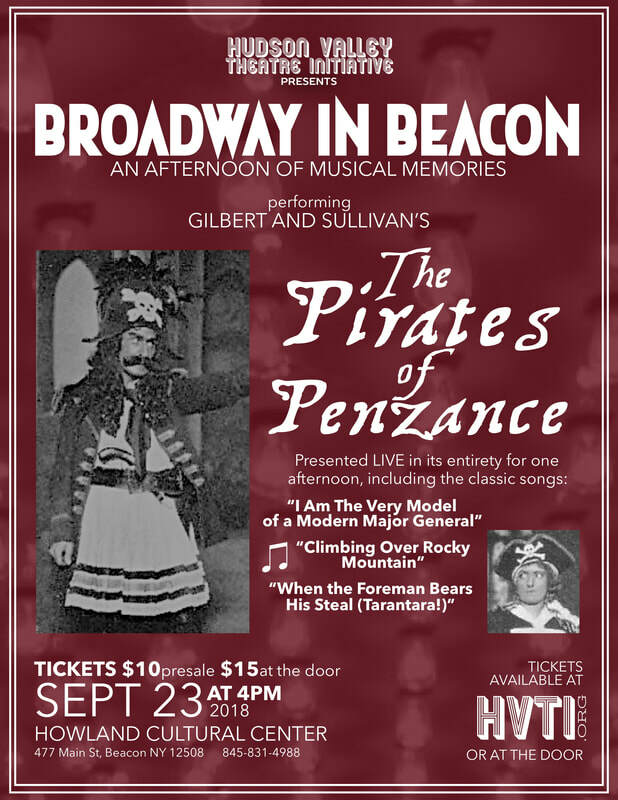 Our Broadway in Beacon (BiB) series is all about celebrating musical theatre, building the local community, and having FUN! To participate there is no audition required. To join the chorus of a BiB show there is no audition, no fee, and only one required rehearsal. All materials will be provided. You just show up to at least one of the chorus rehearsals (times and dates are listed in the sign up form). You can even simply come to a rehearsal THE MORNING OF THE SHOW! At rehearsal you will be given materials and taught the parts you will sing for the show. There is no blocking, no choreography, just a wonderful story and beautiful music! Lead parts are filled by experienced performers selected from the HVTI network: some professional performers and some who have worked with us before. Some who even started as BiB chorus members! If you have any questions, please use the contact link above to send us a message!